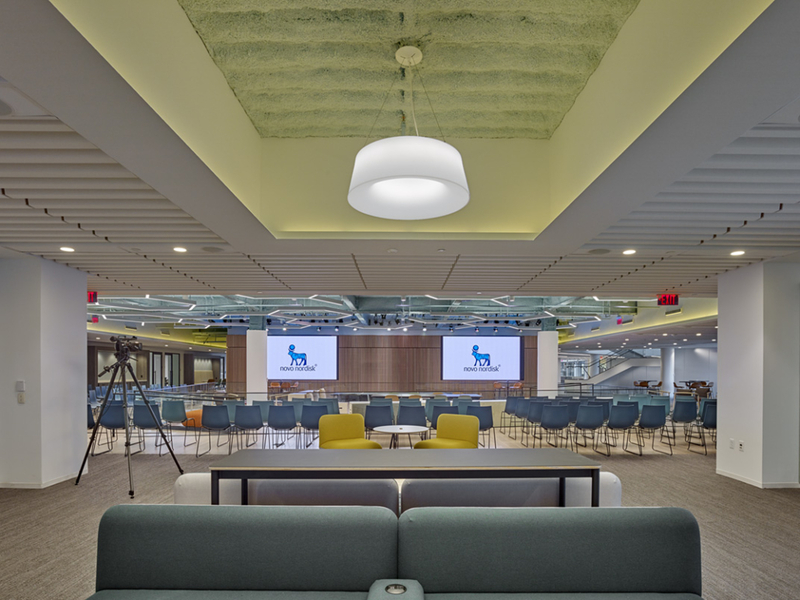 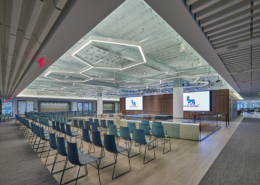 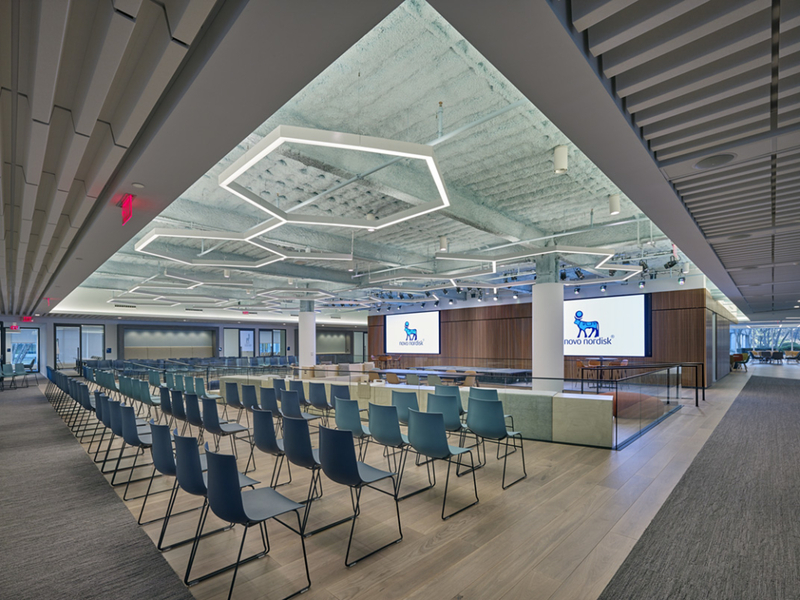 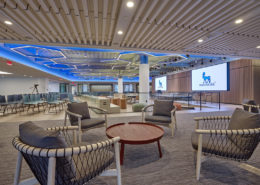 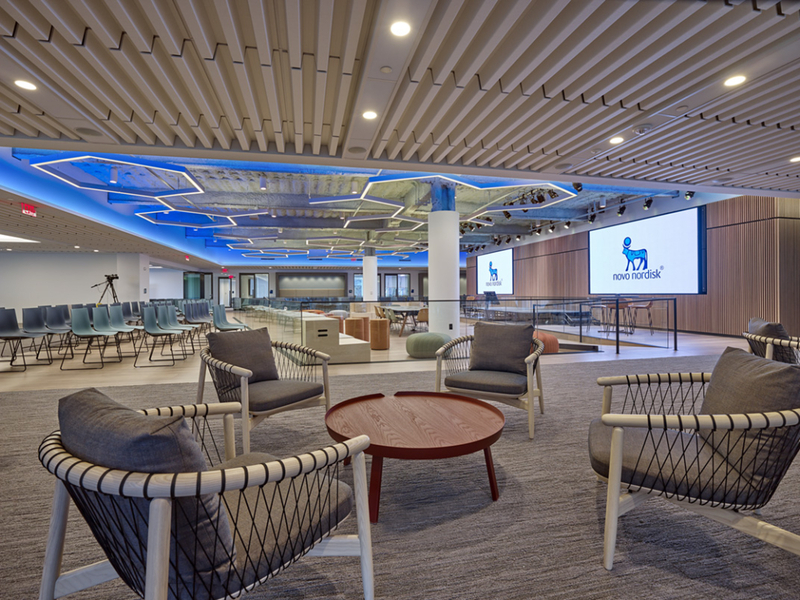 Novo Nordisk transformed an existing building into their World Headquarters’ Conference Center – with a fully interactive Town Hall Meeting space, at the heart of the newly outfitted building. 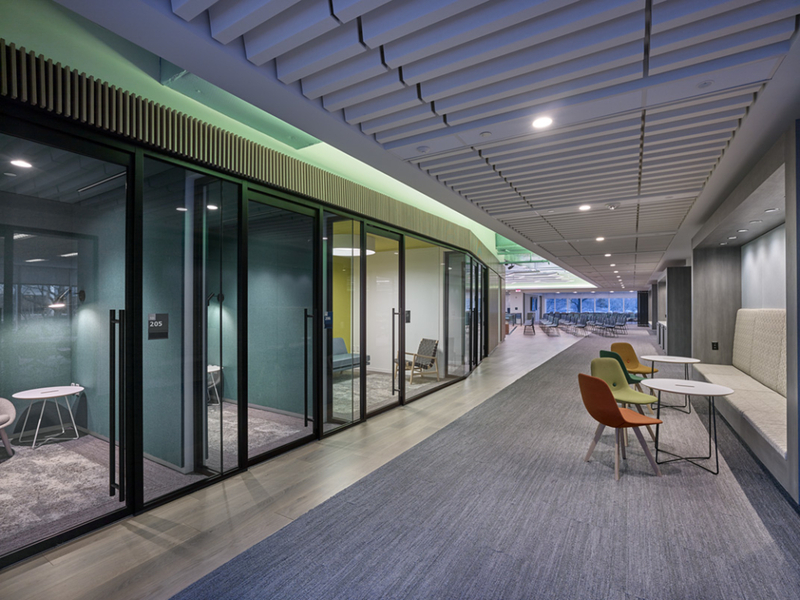 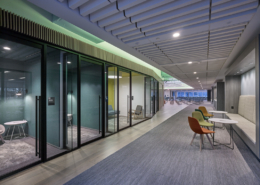 Surrounding the Town Hall space are meeting rooms, conference rooms, collaboration spaces and quiet rooms. 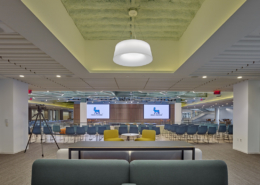 Hatzel & Buehler installed a fully interactive Lighting Control System (DMX) throughout the 64,000 square foot Conference Center. 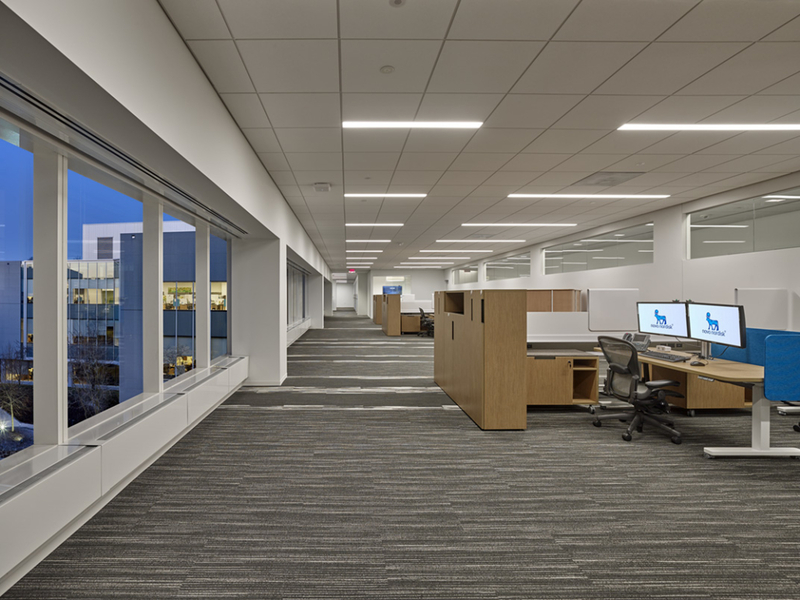 Hatzel & Buehler also installed a building wide sound system and fire alarm system.